Does Facebook Affect Your SEO? Everyone and every business is jumping on this social media bandwagon to sell themselves and their services. As we all hunch behind the harsh LED glow of our computer monitors, it seems the only way to connect with each other and our loved ones is through the means of Facebook, Twitter, and the like. Value is being added to a business each time a new thumbs-up jpeg is achieved. But is the accrued value decreasing? It used to be that if you were a fan of something on Facebook, you were genuinely a FAN. But now, that number of thumbs-up is beginning to lose its credibility with people abusing the like button through Facebook “like” campaigns and giveaways. I mean, how can you really say you “like” Coca-Cola, and then go and “like” Pepsi just because Pepsi offered you a chance to win a free vacation if you just so simply gave away one of your unlimited “likes” to them? You know what I think? You’re a little “like” harlot. But I digress. Maybe people just seem to have a special affinity with more brands now than in the past. So how can we add back the value of our likes? Nothing can go viral unless it is shared. To achieve a real viral outreach, your bullets have to aim at their funny bones, the deepest valleys of their heart, and the stomachs of their brain. Funny content. Emotional content. Useful, informative content. This is the real challenge, because what hasn’t been done already? 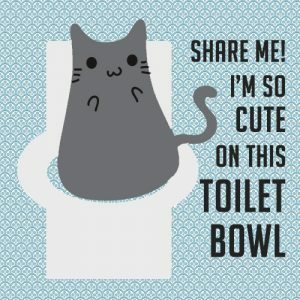 Hey, maybe if we post some cute cat videos on our page then we can generate some likes. Sure, you might get some likes and shares for that particular post, but how beneficial was that to communicate what you actually represent? When I say fresh, new content, we’ve got to make sure we don’t lose the relevancy. Mixing relevancy and fresh content is the perfect protein shake to getting “like” gains. Let’s say you’ve got a plumbing company. Go for that cute cat video, but make sure that the cat is participating in some sort of applicable activity, like fixing a toilet. Well, we’re already dealing with people that enjoy sitting behind a computer. Maybe we can’t make them do some squats, but you surely can’t give them a reason to be any more inactive. You need to give your fan a reason to look for your posts and be active in your content. With Facebook reaching an overwhelming capacity, it is easy for your content to be lost in the rubble. You can generate activity by asking questions, generating debate, holding RELEVANT contests. Getting likes means getting user traffic! If you’re even slightly active on Facebook, you’ll know that anything that a user’s friend “likes” will actually appear on their newsfeed and the origin of the post. If that post can catch the attention of said user that gives them a higher inclination to click on your page and scroll through your other social musings. Remember that the overall goal of using social media for SEO is adding to the value of your overall brand. SEO statistics might be measured by raw traffic, but like any advertising vehicle, you have to take into account the overall engagement of your users. Engagement will lead to higher brand recognition and implant you into those deep subconscious pockets of their brain the next time they acquire a need for your industry.